No one could have replied wife of the president, Mrs Aisha Buhari better than her husband. She has told the British Broadcasting Commission (BBC) in an interview that she would not campaign for her husband’s re-election under the current circumstances , which she implied to mean that a cabal has hijacked the presidency. President Muhammadu Buhari has simply dismissed her claims by saying that her place is in his sitting room and the kitchen. In a world overrun by political correctness and cultural appropriation, Mr President’s response will likely see the feminazis taking to the trenches to denounce it is a sexist response. But before the deluge of poorly thought out condemnation swamps reasoning we must stand back and properly appreciate what just played out. The exercise must be undertaken with all sense of responsibility as we must clearly understand that spouses are not elected on a joint ticket with their partners; it is a position several concerned citizens had to emphasize under the immediate past government. One would expect that limiting the undue influence of first spouses was an integral part of the change promised by President Buhari when he was campaigning. His allusion to the kitchen is therefore understood in that context. To the extent that his wife's name was not on the ballot during the vote it is best she maintains her 'official' position and not be drawn into rivalry with those with statutory roles in government. In the years ahead Nigerians would come to appreciate the significance of this development and praise the man who stood his ground for this to happen. As for the interview, there are key questions to be asked. Are Nigerians genuinely as apprehensive about Mr President's performance or the dismal outlook painted is in part the product of propaganda that is so well run that the economy has gotten worse because of the resulting sabotage? 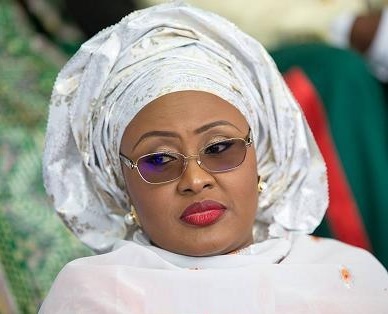 Does Mrs Aisha Buhari's emotion laden interview has any connection with not being allowed to strut around with the imperial impunity that had been the trademark of 'first ladies'? Getting answers to these questions would of course be as challenging as agreeing on who is most culpable in precipitating the current economic recession. What is clear is that Madam could have saved her family the embarrassment of that interview. She apparently spoke with good intent but the vultures have latched onto her interview to launch fresh attacks on her husband. One thing is certain, Mrs Buhari would lose sympathy with Nigerians if they get to discover that her interview was not so much to do with running the country on a best template but that she wanted to be allowed a say in state matters on the scale operated by Dame Patience Jonathan, whose conduct as First Lady has proven to be former President Goodluck Jonathan's Achilles heel. If President Buhari choses not to be dictated to by his spouse it could be because he does not want to repeat the GEJ scenario where he was accused at some point of leaving his wife to run the country. It would be a disservice to the to the gains made in the anti-graft crusade, the winning of the anti-terror war, diversification of the economy and other achievements of the administration were to be described as dictated to by a woman like the one before it. What President Buhari needs at this time is support from all and sundry least of all his wife. Her emotional outburst, if that was what her interview was, cannot change whatever shortcomings she might have identified in the way the country is running under her husband. In fact there is the outside chance that Mrs Buhari's thinking in granting that interview could be a coded plea for help sent to Nigerians to help save her husband's government from saboteurs who are running the show from outside. Her idea would be that if such people continue to distract the government there would be no need for her husband to seek re-election to come and continue doing a thankless job in 2019. It is understandable that she would not be willing to campaign for her husband’s re-election if all her family would get for his hard work and sincerity are the kind of insults and ingratitude presently being hurled at the man. As a wife, she is in the best position to feel and appreciate her husband’s frustration, which she has expressed in a straightforward way. She may not be the astute politician but the point has been made that there are things that can be done differently in national interest. The points she raised are timely as GEJ's government would have done way better if Dame Patience had been this forthcoming. Should this be the case, her sincerity, courage and honesty must be commended in recognition of how she has kept the first family above board while constantly demonstrating their commitment to the Nigerian cause. It takes a great sense of sacrifice to put one's country above family like she did not just in that interview but in several other instances. Where the reverse is proven to be the case however, she needs to be wary. Those that have latched unto her sincerity to tweet their vindication for earlier predicting doom for Nigeria have nothing good to offer the country. They also have nothing to offer her should there be fallouts in the wake of her interview. We know their history with Hajiya Turai Yar'Adua but today Katsina is like a trip to paradise for them. The clip would be possessed by the real cabal and manipulated for running her family out of town. Only when they her done will the wife of Mr President realise their true intention. Walking back that interview is an impossibility as it were and attempting damage control would be as pointless as trying to mop up the rain that fell over an entire city. What Mrs Buhari needs is to face the reality that come 2019 President Buhari will remain firm and relevant to moving Nigeria forward. She should therefore remain supportive and help him focus. Detractors and opportunists cannot stop President Buhari from exercising his mandate and securing his place in history but they can make her abandon her place by his side in the limelight. Angula, a United Kingdom based Oil and Gas Expert contributed this piece from London. An untold top secret has emerged on how the Junior Minister on Petroleum, Dr. Ibe Kachikwu in connivance with State governors mount undue pressure on President Muhammadu Buhari, thereby forcing the later to support the infectious hike of Petroleum pump price. Leadership - Speaker of the House of Representatives, Hon. Yakubu Dogara has turned down the N3billion assigned to him for zonal projects in the North-east in his capacity as a principal officer of the House, LEADERSHIP Weekend gathered yesterday. This is coming just as the Speaker and President Muhammadu Buhari have agreed to work together to resolve the crisis arising from the controversy over the 2016 budget. It would be recalled that the House, had in an executive session on Wednesday, delegated the Speaker to meet with President Buhari to identify areas of concern in the budget and find a way of resolving it. Dogara, it was learnt, met with President Buhari who was represent by Vice President Yemi Osinbajo that same Wednesday evening at the presidential villa, Abuja to address controversial issues about the fiscal document. 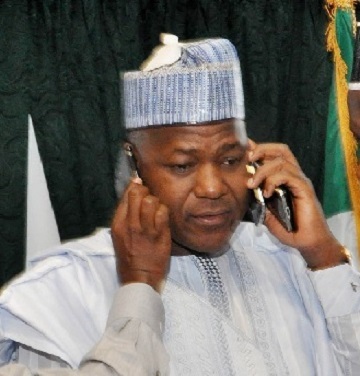 A source close to the Speaker told LEADERSHIP Weekend that Dogara had rejected the N3bn meant for his zone as principal officer ab initio, saying that the money should be used to finance other important projects. The source who preferred not to be named in print also disclosed that the Speaker, at the meeting with Osinbajo who represented President Buhari gave the President assurance that the lower chamber will work with the Executive to resolve all grey areas in the budget which was passed by the National Assembly and transmitted to him for assent. Our source also disclosed that Dogara told the President that the N4 billion projects injected into the budget by the Chairman of the committee on Appropriation, Hon. Abdulmumini Jibrin for his Kiru/Bebeji Constituency in Kano state will be reallocated to other projects in the budget. The House of Representatives had come under criticism for removing important projects such as the Calabar-Lagos rail project from the budget even though it maintains it was never among the projects submitted by the President. 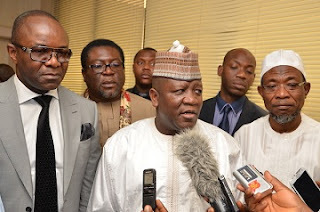 The lawmakers were accused to have left the Kano/Lagos rail project untouched but also reduced the amount set for the completion of the Idu-Kaduna rail project which is said to have reached an advanced stage of completion by N8.7 billion. Furthermore, the House was reported to have either removed or reduced provisions made in the areas of Agriculture and water resources aimed at diversification and moved the funds to provision of boreholes which had been provided for elsewhere. But clarifying on the issue, the spokesperson of the House, Hon. Abdulaziz Namdas, at a briefing on Wednesday said, “We are not saying the Calabar-Lagos rail project is not good, we know it is a viable project. Our area of concern is what people are saying that it was in the budget and we removed it. That project was not among the projects submitted by Mr. President to the National Assembly”. two- day visit to Malabo Equatorial Guinea. President Muhammadu Buhari Monday in Malabo was conferred with the Highest National Honour of the Republic of Equatorial Guinea for his personal integrity, exemplary leadership style and courage to fight terrorism in order to ensure peace and safety in Africa. 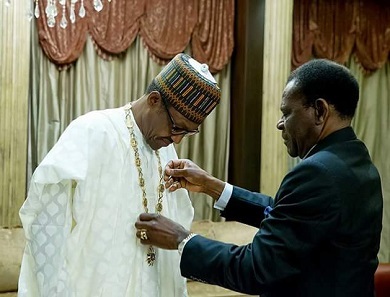 The honour of "Gran Collar De La Orden De La Independencia" translated "Grand Collar of the Order of the Independence" was conferred on President Buhari by President Teodoro Obiang Nguema Mbasogo of Equatorial Guinea at the Presidential Palace. At the investiture ceremony, President Buhari said the recognition was for the people of Nigeria who had worked tirelessly to sustain peace in the country and across other neighbouring countries in Africa. y for greater neighbourliness, for security and economic stability than now," he said. The President said the challenges faced by African countries had a common thread, and must be collectively appraised and jointly tackled by all the African countries. 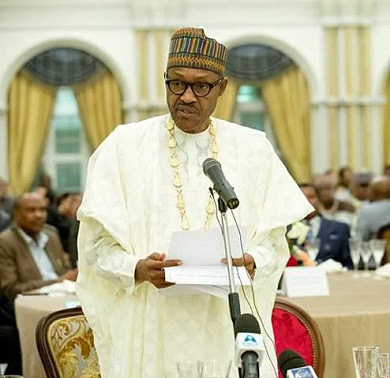 President Buhari assured that Nigeria would always support efforts of ensuring socio-political and economic stability of its neighbours and the entire African continent. Earlier in his remarks, President Mbasogo said it was an honour for his country to confer the Highest National Honour on President Buhari on his first visit to the country. "We are here to recognise the son of the soil. On this occasion, we deem it fit and appropriate to decorate the son of Africa for the great work he is doing in Africa, which includes tackling a great menace to the continent, Boko Haram, " he said. The President pledged his country's support to Nigeria in the fight against insurgency and other security challenges.